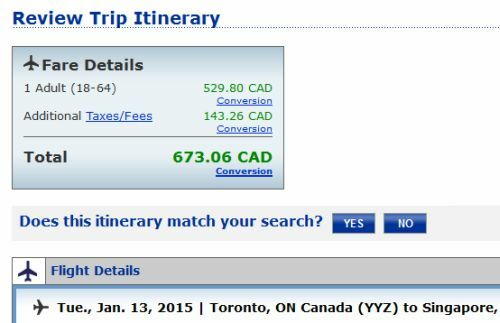 United Airlines just loaded some ridiculously low prices from Toronto to Singapore (SIN) for January 2015 travel. The typical bottom price seen on this route is around $1000. Remember to wait for Kayak to completely finish loading to see the prices in the $600s. Sometimes it takes a while. 2. Click through from Kayak to United Canada to book. Be aware, these flights have 2-3 stops each way. 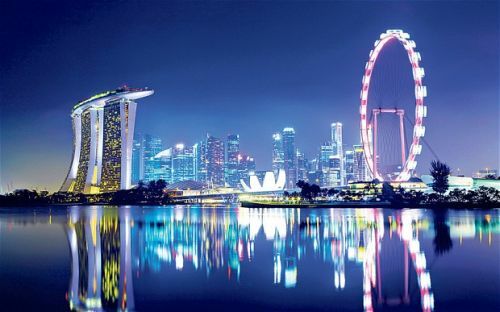 toronto, yyz, flight deals, asia, southeast asia, singapore, sin and .